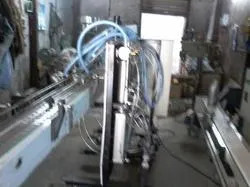 Established in the year 2001, we are one of the well renowned manufacturers and exporters of filling and industrial packaging machinery like screw conveyors, bottle capping machines, automatic bottle capping machines, liquid filling machines, auger filling machines, capsule filling machines, paste filling machines etc. Our range is widely appreciated by diverse industries for its unique features like trouble free performance, high efficiency and high output. Our range is fabricated using high grade raw material and is accredited by international standards such as ANS and ASQ which marks the quality of our range. Empowered by the state of the art production facilities, quality controllers and advanced production techniques, we are able to successfully cater to the emerging requirements of global clients. 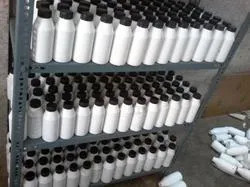 Further, our R & D personnel keep themselves involved in market survey to meet the desired demand of clients by constantly innovating and upgrading our range of industrial packaging machinery. Under the able guidance of our mentor, Mr. Harshad Gopalan, we are able to carve a niche for ourselves in this domain. His rich industrial experience also helps us to understand & keep pace with the prevailing and emerging demands in the competitive markets. 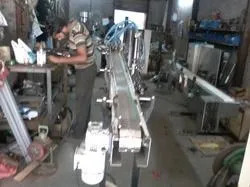 Manufacturing and Trading of wide range of Filling Machines, Packaging Machines, Labeling Machines etc. Depending on their specialization, they further grouped into small teams, which are headed by managers who have the years of experience in their respective fields. 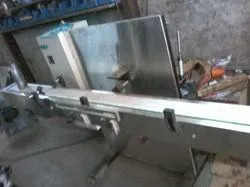 This helps us in timely execution of orders while adhering to international quality standards. It is the hard work, commitment and dedication of the work that has enabled us to create a niche in the market and leave a good impression on clients.